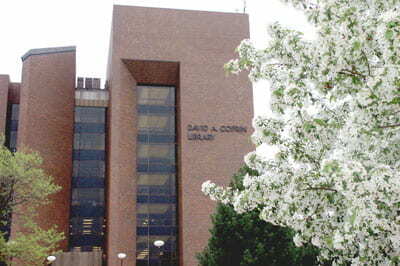 The Wisconsin Library Association has named the Cofrin Library at the University of Wisconsin-Green Bay the 2012 state library of the year. A campus celebration of the honor is likely at a later date, to be announced. The WLA award will be presented during the organization’s annual conference in late October in La Crosse. • To improve the user experience, the UW-Green Bay library has waived the interlibrary loan fee for students and instituted text messaging and instant messenger reference services along with the ability to text a call number to a smart phone. The library has also added an embedded librarian program, a virtual shelf browsing function, library instruction via Skype and a public services department to provide faculty, staff and students with more support for their research and learning. • The Cofrin Library’s improved marketing efforts have paid off with higher gate counts, a 230 percent increase in interlibrary loan usage and a 25 percent increase in reference transactions during the past three years. The library partnered with on-campus entities to host freshman orientation events, leadership programs, a “Bash in the Stacks” open house, and reached beyond campus to partner on the Regional National History Day competition and community reading projects with the Brown County Public Library and others. • Staff members have worked to improve collections and the physical facilities and increase their participation in professional development. Fundraising has also stepped up, in particular, and in collaboration with University Advancement, the library was able to secure a generous donation to start the Robert L. Ganyard Library Endowment and triple it in the first year. Kathy Pletcher, a former director of the Cofrin Library and longtime administrator for academic support services at UW-Green Bay, endorsed the library’s candidacy for state library of the year. Nominators also mentioned that the Cofrin Library made an important move to pare back its print collection in order to improve services. A major “weeding project” in recent years has reduced the collection by 50 percent, giving it a greater focus and purpose, and making it easier to use. It also freed up room for enhancing patron work areas and service desks. 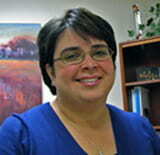 Prof. Lucy Arendt, director of the school of business at UW-Green Bay, says the library as been particularly effective in reaching out to non-traditional students in distance learning courses. Such students sometimes need a little refresher on how modern libraries work and the resources available for research. • Addition of a new digital scanner for microfilm, microfiche, and micro opaque cards. • Converted a position to create a Resource Sharing Librarian to improve interlibrary loans services. • Took over the responsibility for the University’s media equipment checkout, providing 80 more hours per week of access to the collection. • Added a kiosk station and a printer station at the library entrance for use when the library is not open. • Started providing library instruction sessions via Skype. • Began circulating iPads loaded with various apps (2012). • Started a large, ongoing University photo archiving project (ongoing). • Started a biannual UWGB Author & Artists event to celebrate faculty scholarship. • Updated shelving to provide more study space. • Created two multi-media viewing/listening rooms, a new welcome desk, a new high-tech conference room, new casual reading and study areas. This entry was posted in Go Green!, News and tagged achievements, award, Cofrin Library on September 5, 2012 by Christopher Sampson.